Integration is a key word for us: the manufacturing process is integrated, concentrated in a single plant and the relationship with the customer is also based on the desire to fulfill his requirements, with each of our clients we build a relationship based on full cooperation at every stage of the production: from design to packaging, from delivery to post-sales assistance. 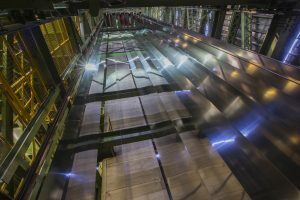 We analyze together their needs and identify the best type of steel, and if it does not exist yet, we ask our Materials Research Centre to work on it. Everything is designed to give tailored answers, always perfectly integrated with the industrial needs of our customers, wherever they may be. The integrated process allows us to concentrate all production stages in one place and to ensure high quality standards and service excellence. The steel that leaves our factories complies with the strictest production criteria and standards precisely because it can count on a constantly controlled process, from raw material to finished product. It is the heart of our factory: producing austenitic, ferritic and martensitic steels to meet the needs of each application. Stainless steel of the highest quality with different chemical compositions and characteristics which is then transformed into hot and cold rolled sheets. With a wide range of finishes, thicknesses, widths and lengths and packaged according to customer specifications. With a production division that occupies an area of 45,000 square metres, we are a leader in manufacturing stainless steel welded tubes, and considered the worldwide specialists in the automotive and furniture industry. This wide range is flanked by a particularly strict quality management system and by a network of 30 warehouses across Europe to ensure prompt delivery to our customers. The production unit covers an area of 120,000 square metres, it manufactures a wide range of forged artefacts, made from high-quality steels, produced according to a centuries-old metallurgical experience together with the most modern processing techniques. The unit meets the requirements of primary sectors of the economy, areas where the reliability of a machine and of the components of a plant are essential for service safety and continuity, guaranteed by the strict application of production procedures and through strict quality controls. The slabs coming from the walking-beam furnace are hot rolled, initially, with multiple passes through the reversing mill and, subsequently, through the hot seven stand finishing mill. The cold stainless steel work area includes the annealing and pickling line for hot rolled strips, the Sendzimir rolling mills, the polished annealing lines for cold-rolled strips, the annealing and pickling lines for cold-rolled strips, the Skin-pass rolling mills, the tension leveller. Once the production cycle has ended, the material can be further processed at the Finishing Centre to meet the dimensional specifications and surface appearance required by the customer. AST continues the centuries-old tradition of forging in Terni with the Forging Division. The production unit covers an area of 120,000 sqm and produces a vast range of large-scale forgings, especially bars, produced on-site, weighing up to 500 tons. 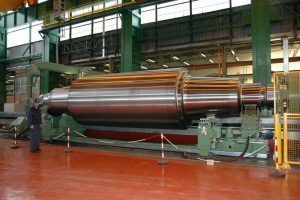 The forgings produced by the Forging Division are mainly destined for energy production and the mechanical, chemical, petrochemical, offshore and aerospace industry: all sectors where the reliability of a machine and its components in a plant are essential for the safety and continuity of services. 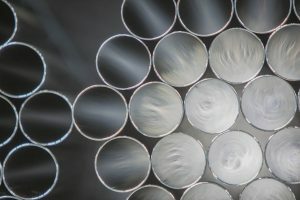 The Tubificio Division, at the forefront of the production of stainless steel, electro-welded tubes, offers a wide range of products with which to meet all users’ demands, especially products for the automotive and furnishing market. Thanks to over thirty warehouses situated throughout Europe, a prompt delivery service is guaranteed to users’ main facilities. The factory occupies a surface area of 45,000 sqm, 24,000 of which are dedicated to production which includes, among others, one TIG welding line, two laser welding lines and three HF welding lines. Series 300 and 400 steel emerge from the welding lines in a variety of thickness and diameters guaranteeing over 1,200 combinations of thickness/diameter and length for the customer to choose from. Square and rectangular tubes feature among the products supplied, with a brushed or satin-polish finish, for any kind of structural or ornamental use.